i don't know how it happened, but i became the parent of a tween. my sweet first born has morphed into someone too cool to hug and kiss me in front of his friends. even if i cheer him on at sporting events, he is reserved and cool towards me. i am watching as his relationships with his friends flourish and i have to fight to keep our relationship alive. i have entered the middle school years and it is already rough. i'm not sure how i'm going to make it through two more years of this, let alone high school. i certainly don't think i have it all together. my son and i don't see eye to eye much these days. 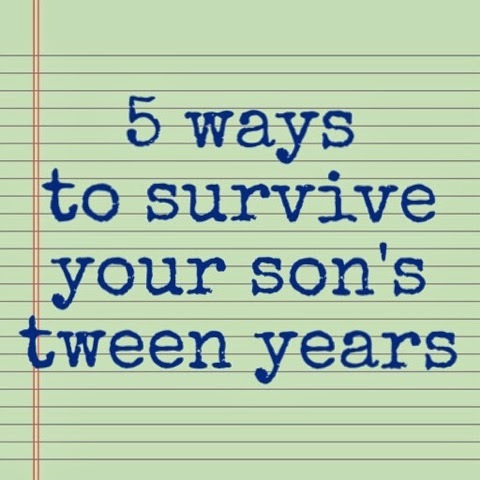 still, over the last several months i have had talks with other amazing moms of tween boys. i have watched what has worked for them and what hasn't. trust me, i'm no expert. i do, however, have amazingly honest friends and people who have survived it all championing the way. i have gleaned every bit of knowledge from them all and have come up with five simple things you can do today to help not just survive the tween years, but also enjoy them. here are the amazing tips they have given to me. 1) keep your son busy. this may seem ridiculously simple but it is much more difficult than it seems. this is the first time in my son's life when idle time is truly the devil's playground. it is work to keep him off of electronic devices all day long. bored tweens and teens will find some way to get into trouble or to try things that they otherwise would not. i have had to encourage him to join a sport, play an instrument, join a club or get more involved in our church youth group. keeping my son busy solves more problems than i ever thought it would. 2) find activities that you both enjoy. my son may be horrible at expressing it, but he needs me in his life. he probably needs me more now than he did as an young child. he needs me to be interested in his life and to find time to spend with him, preferably time that is enjoyable for both of us. my son likes to read so i've introduced him to some books that we can read simultaneously. we read, we get in some short conversations and we go about our days. it's not much but it is a connection between the two of us. he also loves all of the t.v. shows involving comic book characters. i know more about the arrow and flash than i ever thought i would. they are shows that definitely are only suitable for my oldest son in our house so watching those shows has become something we do without the interruption of everyone else in the house. one on one time has become priceless with him and it communicates my love for him more now than it ever has before. 3) be aware of who they are with, what they watch, and what they say. i know that my son is trying to assert his independence more and more but he is only eleven. he is not in college yet. while i still have some control over the matter, i'm going to watch what he sees on television. i'm going to keep the computers in a location where i can see what is being searched. i'm going to look up search histories. i'm going to meet his friends and know who he spends time with. if that means that i have a stocked fridge and a place for them to come, then so be it. i'm going to check his phone and look at his texts. i'm going to know what is going on. he may get frustrated with my involvement in these things but while i still can, i'm taking it on as a very real part of my job in raising him. 4) lavish them with praise and affection (even when they say they don't want it). i noticed around the middle of this school year, my son stopped coming up and giving me a hug when he got home from school. it took me a couple of days to notice it and then i decided i'd have none of it. i make him get and give a hug to and from me everyday. my son needs affection. he may not think he does, but he really needs it. i'm going to keep on hugging him. i'll kiss him goodnight. i'll still rub his back when i walk past him. he needs to have affection from me so he is not starving for it and looking for it elsewhere. he also needs my compliments. there is already a shift in middle school where there is a very real struggle to fit in and to be cool. there is an overabundance of insecure kids looking for affirmation. i need to be a real source of that affirmation at home. this is really hard for me. i find myself irritated at my son more than i'm happy with him but i have to make a conscious effort to overcompensate with praise. again, my son is desperate for it. i want to pour into him so he does not feel quite the need to search for his affirmation elsewhere. 5) be consistent with discipline. my friend today reminded me that we are not supposed to be our kid's best friend. that may come later but right now, they still need us to parent. that means doing the really hard discipline. it is very difficult to be the disciplinarian to a tween...because you can see the anger on their faces and the temporary walls that go up when discipline is given. still, it is necessary. my son purchased some in-app purchases on his iphone without asking and we got an unpleasant iTunes bill. every app was wiped from his phone and he is paying us back with manual labor every weekend until every cent is accounted for. i have one friend whose son has to run a mile when he needs to be removed from the house. he has to run to a pre-determined half mile marker, take a picture of it and run home. i love this for so many reasons. they now, more than ever, need to understand that there are consequences for their behavior, both good and bad. i would rather my son get mad at me for making him detail my car than have him get fired from a job for being disrespectful to an employer. i'm counting on him thanking me one day. most importantly, parents, remember you are not alone. i see moms of tween and teen boys who look about to break but they don't share what they are feeling with other moms. trust me, you are not alone in your struggles. i'm trying to be honest with my friends who are other moms of boys. i want to hear their stories and i want to see what has worked. most importantly, i want the camaraderie of motherhood to help me to laugh through this time. i love my oldest to pieces but some days are hard. i have a handful of friends who will stand by me and walk with me right through the darkest moments. 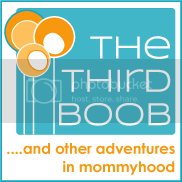 that vulnerability forges lifelong friendships for me and perspective for me as a mother. i need both of those desperately. i will make it through these days and you will too. we just have to stick together. are all family traditions worth keeping?